SAN ANGELO, TX — Celebrate National Cowboy Day at Fort Concho on Saturday inside the Quartermaster Galleries with a breakfast of fruit, sweet rolls by Fiddlefire Catering, coffee and juice, starting at 9:00 a.m. Guests can see the American Plains Artists display of 96 paintings and 17 sculptures while enjoying the refreshments. There is no charge for the breakfast, but donations will be accepted. Fort Concho is located at 630 S. Oakes St.
At 9:30 a.m. Dr. Devon Stewart, assistant professor of art history at Angelo State University, will talk about the history of the American Plains Artists group with a close look at many of the pieces on display. Guests are invited to vote for their favorite work. At 10:00 a.m., the Concho Cowboy Company will perform one of its award-winning skits in the field between the Quartermaster and Headquarters buildings. Organized in Montana almost 20 years ago, National Cowboy Day celebrates the heritage of a unique American figure, who had a major role in the growth and development of Texas after the Civil War. This year’s APA show features many cowboy portrayals. 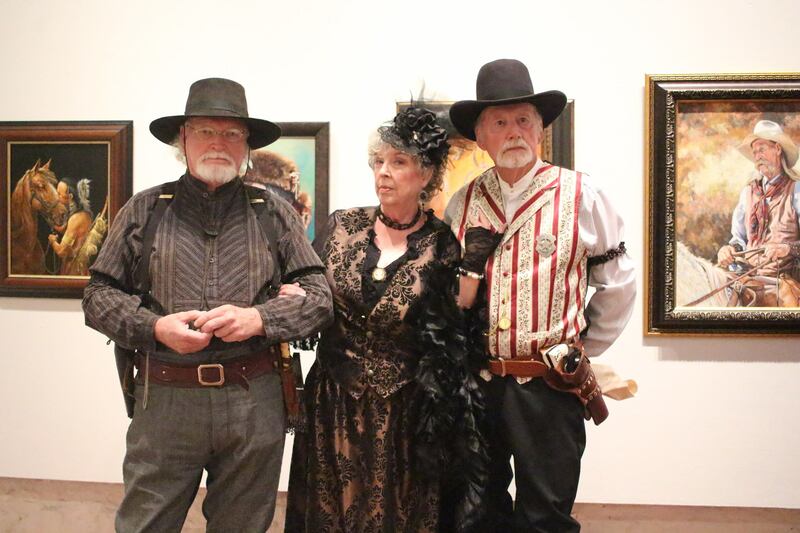 The western art show will be open until 4:00 p.m. Saturdays. It is also open 1:30 p.m.-4:30 p.m. Sundays, and 10:00 a.m.-4 p.m. Tuesdays-Saturdays.